Few men would deny that there is a certain pleasure in knowing that something has been made just for you. When it comes to suits, there is little question that bespoke is best – yet a man shouldn’t put too much stock in those who spurn shop-bought entirely. with care: the sartorially savvy man knows that a ready-made suit will call for a few alterations if it is to look its best. A suit could be made from a luxurious blend of cashmere and super 200’s wool, but its effect will be diminished if the shoulders bunch or the trouser legs puddle at the ankle. Yet with a little care and consideration, a ready-made suit can be made to look near-indistinguishable from one cut on Savile Row. The shoulders are the crux of a jacket, and a time-honoured rule states that they should fit from the start – almost everything else can be changed later with relative ease. The shoulders, however, make for a difficult and costly alteration, entailing the removal of the sleeves, reshaping the armholes and often making adjustments to the chest. To alter a shoulder drastically also entails risk; by the end of the process, you may find that you have something that is different without necessarily being better. A good tailor will generally advise a man to have between 1/2 and a 1/4 inch of shirt cuff protruding from beneath his jacket. 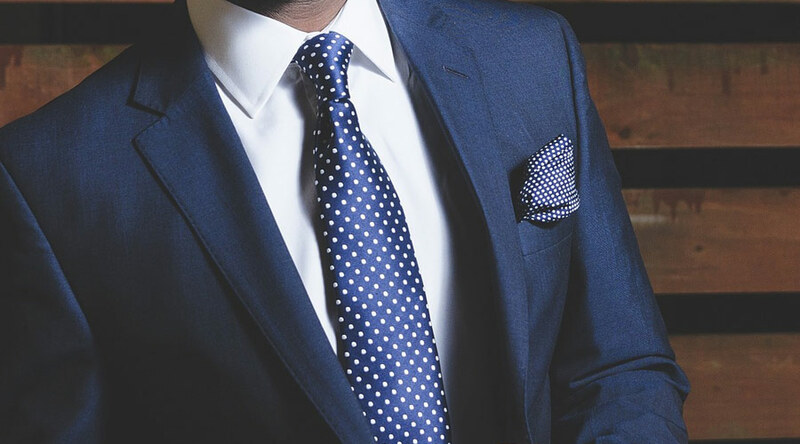 To achieve this requires both shirt and jacket to work in tandem; a jacket sleeve that is too short, for example, will give the impression of an over-long shirt cuff. Stroll down Savile Row today, and it is evident that slimmer-cut suits are in vogue. A jacket with a more straight-up-and-down silhouette – the so-called American cut – usually requires a skilled tailor if it is to look elegant. With a ready-made suit, a slim silhouette can be achieved by means of a so-called waist suppression; a relatively easy alteration, this helps to accentuate a man’s V-shaped silhouette, producing the desirable hourglass shape. Take it too tight, however, and the jacket will stretch and wrinkle when buttoned. Waistlines have moved southwards over the years, tempting some to wear their suit trousers as if they were a pair of jeans or chinos. Yet this can make the crotch hang too low, spoiling the tailored look. Wearing your suit trousers a little higher – just below the navel – will give elongate the frame, something particularly good for those of shorter stature. The eminently sartorial Duke of Windsor was known to make good use of his tailor to this effect. This is perhaps the area that is most neglected when buying off-the-rail. Most men will have the waist of their trousers adjusted, but some leave the seat untouched, resulting in a ballooning around the hips caused by excess material. Taking in the baggy seat gives a leaner line, which is particular important for those who want a slim fitting trouser leg. When making alterations, it is fruitful to build a relationship with a tailor, irrespective of whether or not you plan to actually have a suit made. The situation is not dissimilar from a haircut: to walk in to a new barber and simply ask for a ‘trim’ is to open yourself to disappointment – a ‘trim’ being a subjective concept. The more your tailor knows about you, the more likely he is to realise your vision.